A Karen National Union controlled checkpoint is fuelling tension between the Burma Army in southern Burma. 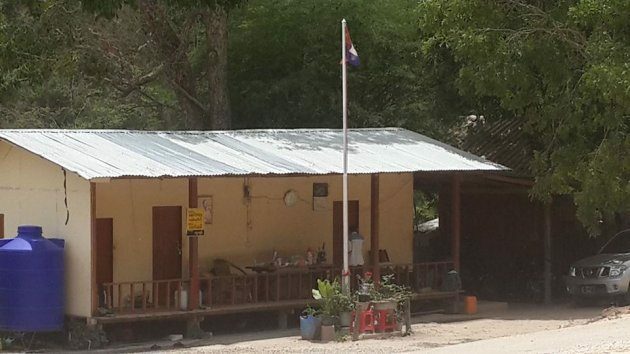 The KNU checkpoint at Htee Khee, in Megui/Tavoy District [Tanintharyi Region] had been ordered by the local Burma Army commander to move out last week. The Burma Army order was given twice – first by a Htee Hta based tactical commander from Military Operations Command #19 on June 20, 2016 and again by the Border Security Affairs Minister of the Tanitharyi Region, Colonel Zaw Lwin when he met with KNU’s Megui/Tavoy district chairperson, Padoh Saw Hsa Pitu on June 22. The KNU’s Padoh Saw Hsa Pitu told Karen News that they will attempt to solve the problem by peaceful means. After the order, the KNU’s Megui/Tavoy district leaders held an emergency meeting to discuss the issue on June 23 and later met with Dr. Daw Lei Lei Maw, the Chief Minister of the Tanintharyi Region on June 24. Padoh Saw Hsa Pitu said that there is a need for further talks to settle the issue by the 14-member Joint Monitoring Committee (JMC-S) group. The JMC-S is composed of government representatives, including the commander of the coastal region command, KNU officials and civilian representatives – it was formed in Myeit on February 25, 2015. According to KNU sources, the meeting between Karen officials from the Megui/Tavoy district and Dr. Daw Lei Lei Maw, it was agreed to continue discussions about the issue after Chief Minister completes a fact finding mission to the checkpoint at the end of June. The Htee Khee checkpoint was first opened in 2013 in Dawei Township, Tanintharyi region in Southern Burma. Residents in the area said that they were initially concerned about the increasing tension between the KNU and the Burma Army, but the checkpoint now appears to be operating as normal.